I recently mentioned on Facebook that I plan to bring back the Fab Werkwear Series and make it a permanent staple on the blog. I made this decision after seeing a comment on another blog about a need to see more work wear styles. The truth is five out of the seven days in a week, the majority of us are dressing for the workplace. I believe in work wear being professional yet still showing your individual style. Today's style post is a work wear look I wore a few months ago. I loved it so much that I had my husband take pictures of me in the outfit after work. The pictures didn't make it to the blog at the time, but since the Fab Werkwear Series is returning soon, I felt it would be a great time to post this look. The great thing about this look is that half of the look was thrifted or purchased from a resale sale. When it was colder outside, I loved adding leather to my work wardrobe. 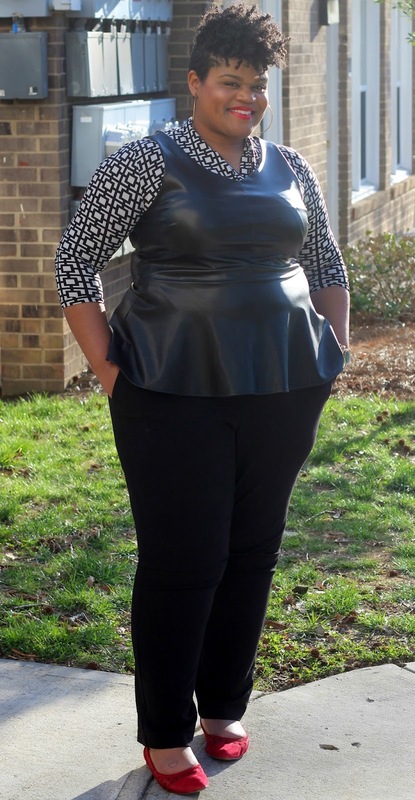 I added this leather top on a whim, but I love how it looks. 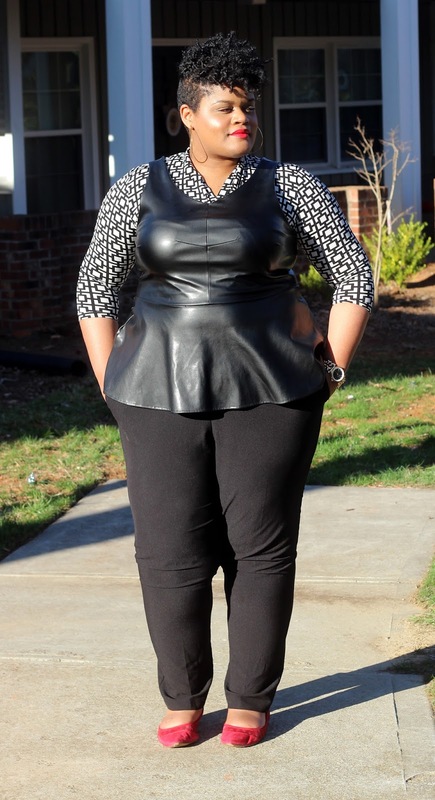 Check out another leather work wear look here. How do you wear leather to work? What work wear looks would you like to see on the blog?